This image was taken on the Japanese island of Hokkaido. 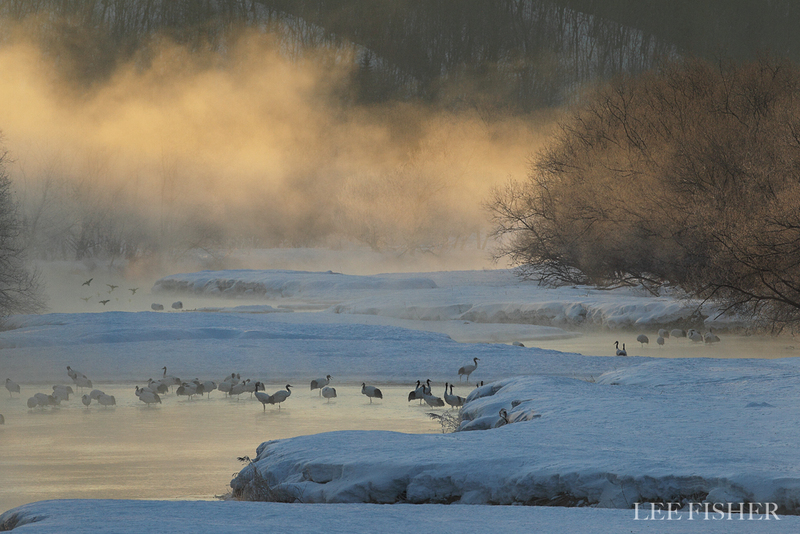 Red crowned cranes roost in the river and the as the sun rises the mist ascends from the water. As the sun came up the mist turned golden for a few minutes creating an incredible scene.